Ivan Schuler, former Grace College athletic director and assistant basketball coach in 1977, was inspired to write a devotional for athletic teams called “Huddle Time” after watching athletic programs at Christian schools. The devotional, written in 2000 for athletes and coaches, was inspired by Coach John Wooden’s renowned pyramid of success. 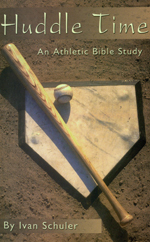 Schuler sought an organizational model that could be used to illustrate the different devotional concepts that he was trying to convey to the players while he was coaching. Schuler used this tool while he was coaching at Biola University and Grace, and has distributed it to athletes and coaches over the years. He gave a copy to star athletes like Shanna Zolman, star athlete at the University of Tennessee and later a professional basketball player for the Tulsa Shock who, after reading the devotional, purchased more for her entire team. “There’s been lots of feedback on how people who used the devotional appreciated being able to grow spiritually as well as physically and mentally while being part of an athletic team,” Schuler says. 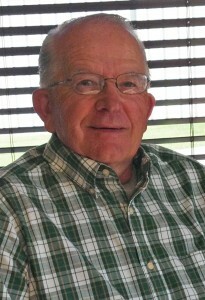 Ivan and his wife, Carol, recently moved to a condominium at Grace Village in Winona Lake, Ind. They are members of the Winona Lake Grace Brethren Church (Bruce Barlow, pastor). This story first appeared in the GraceConnect eNews, week of September 23, 2013. To get your news first, subscribe to the eNews by clicking on the button in the upper right corner of this page.